In the past, Lovedale have regularly alternated between composed and improvised pieces, but with Green Sounds, they opt for an entirely improvised approach. In practice, it means that their sound has become much freer and more fluid. Melodies are not quite as prominent or as clearly defined as they were on previous records. Instead, the quartet demonstrate a much more dynamic approach to their music as they take it in turn to set the agenda. On Trains And Bones And Planes for instance, Nils Wogram shows just how much of a natural fit with the band he is as he slowly builds a somewhat hectic and playful groove, soon picked up by Mogensens, and continues to flesh it out as the drums become more substantial. The two drive the piece on their own for over half of it before Løvdal comes in, echoing Wogram’s animated contribution with an equally feverish offering. Although Anderskov stays out of the way on this album opener, and remains fairly discreet on On Track, Off Time, which follows, his presence is felt much more on the dissonant Beneath The Blues or on the sumptuous and introspective Landscape, where he balances Løvdal’s breathy performance with a delicate muted piano. It is however in the second half of the record that his contribution really becomes potent, first on the splendid Suite Green where he lines up a beautifully crystalline melody, then on Mefludica, Wogram Avenue or Green Exit, where he opts for much stranger, harsher, tonalities, often choosing resolutely coarse electric textures to counterbalance the softer sounds brought in by Løvdal or Wogram. Although he still relies primarily on sax, Løvdal adds flute and clarinet to his panoply of instrument to give some of the pieces here a broader sonic palette. Equally, Wogram adds a new dimension to the quartet, especially on Trains And Bones And Planes or Wogram Avenue, on which he takes charge, once again with Mogensens for a while, then with the rest of the formation eventually building a pretty dense soundscape. On Mefludica, he swaps trombone for melodic, but opts for a similarly hectic approach to that adopted on Trains And Bones And Planes, answered by Løvdal on flute and Anderskov on saturated electric piano. 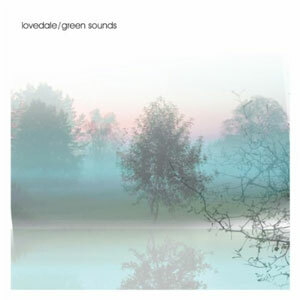 Having opted for a different approach to their preview records, Lovedale have, with Green Sounds, completely reinvented their sound, giving it much more space to develop and flourish. The result is an album which never ceases to challenge and entertain in equal measures. It also reveals a much more playful and progressive to the band which should work equally well live.